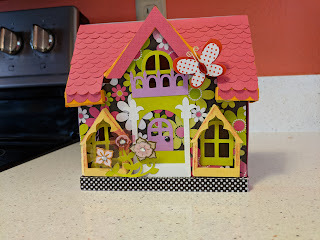 I fell in love with this little cottage pattern a couple of months ago. I waited to make it until I found the perfect paper. The pattern is from SVG Cuts. 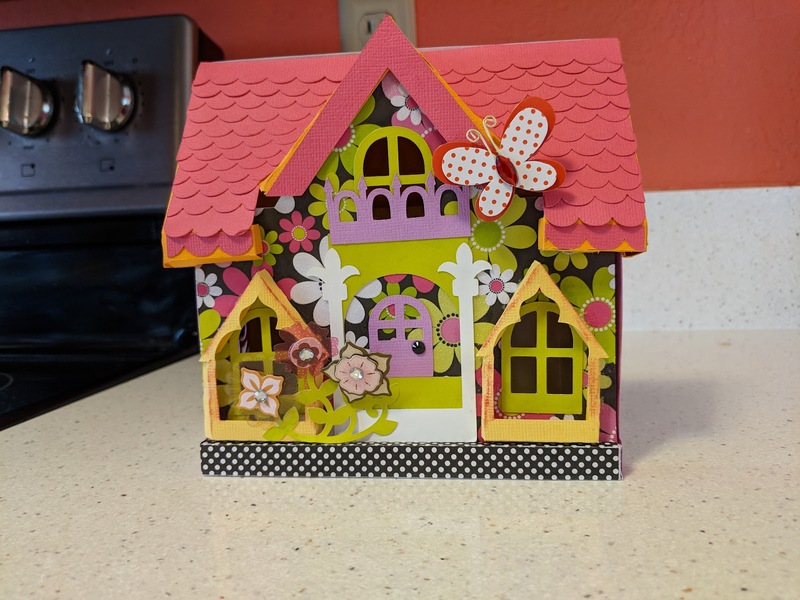 It's called the Peony Cottage. 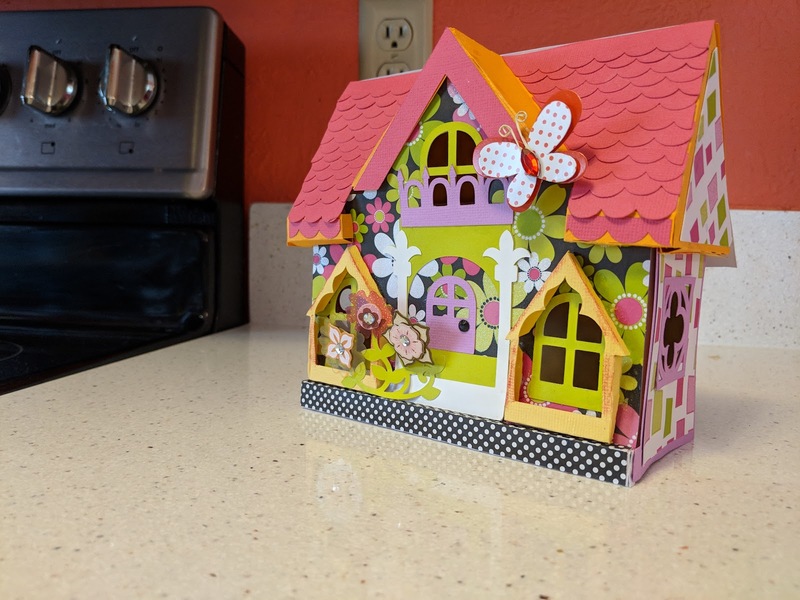 The roof was a real struggle on this little house. The first time I tried to make it, I think I used too much glue. A piece tore and I had to re-cut it. So, I started over. I used a little ink on the window frames to make them pop. I generally wish that I hadn't done that. I don't think I did it very neatly. Honestly, I found this project frustrating. I had looked forward to making it for weeks, but the instructions felt incomplete. There were a lot of places where I felt like I needed to just figure the project out for myself. The instructor just skipped steps. One of my biggest problems with making the roof ended up being that I had folded the paper the wrong direction and "trained" it to fold backwards. There was no point in the video tutorial where the instructor told me how I was suppose to be folding the paper. Likewise, a lot of decoration steps were skipped. 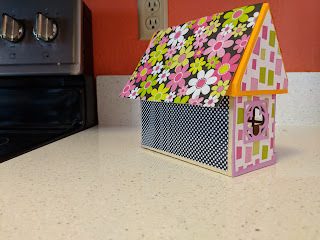 I think the instructor used ink on some other parts of the cottage or she used a printed paper even though the printed instructions indicated that plain paper was used. There were no instructions that explained where or how to put the patterned on the back of the house. I still can't figure out why the front of my house around the door looks so different from the original SVG Cuts house. 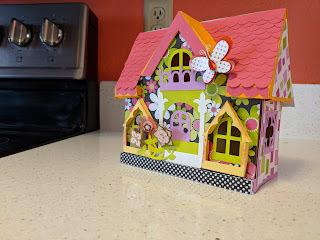 The instructor must have added some paper to that part of the house that I didn't even have cut out. There were no instructions on how that section of my house look like hers. 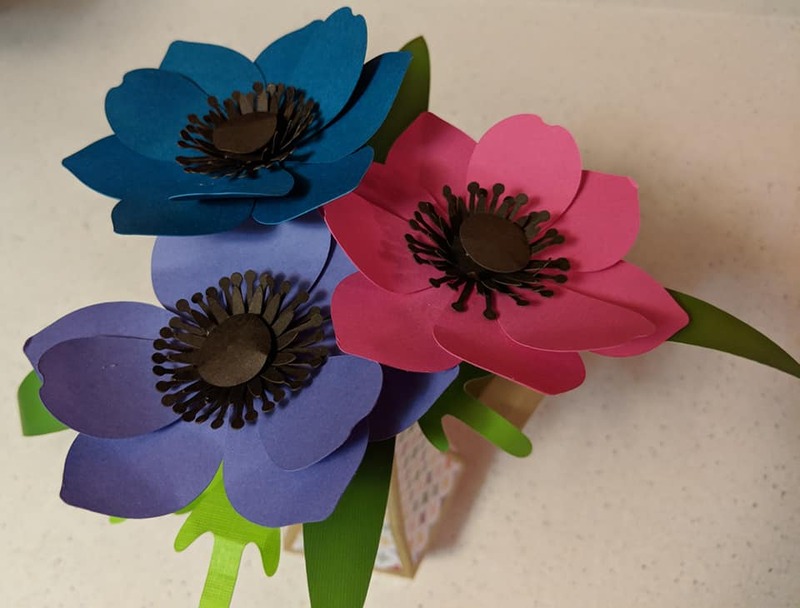 I finally got aggravated by the project and discarded the paper flowers that I was suppose to use and grabbed some flowers from my embellishment stash. Then, I grabbed the butterfly sticker from the embellishments that I've received from one my craft swaps. I do think that the little butterfly adds an extra bit of oomph to the overall project. This was one of SVG Cuts earlier project designs. The tutorials may be stronger on the newer projects. There is no question as to how incredible the designs are on the SVG Cuts website. The designer is phenomenal. Still, I was disappointed that I didn't enjoy this specific project.